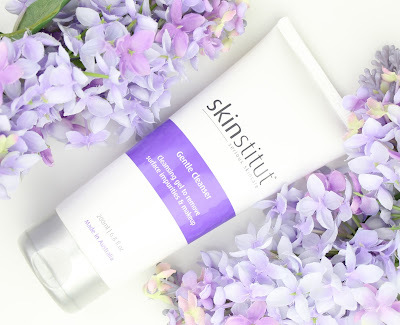 Skinstitut has been really buzzing on social media and in the bloggersphere lately and for good reason... they offer some pretty fantastic skincare at really quite affordable prices. 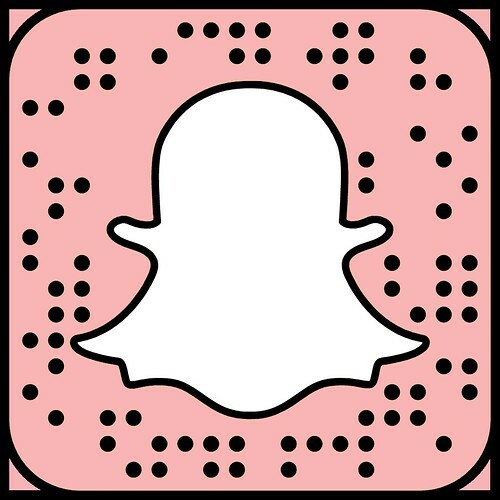 I bought a few products myself and loved them. Then I was lucky enough to be gifted the rest of the range suited to dry skin. I have been using this skincare range exclusively for the past month, with the exception of the Bioderma Sensibio H2O Micelle Solution ($42.99) to remove my makeup and Origins Drink Up Intensive Overnight Mask ($37) because I just can't give them up. Settle in guys, this is going to be one seriously in depth review of the whole range for dry and dehydrated skin. 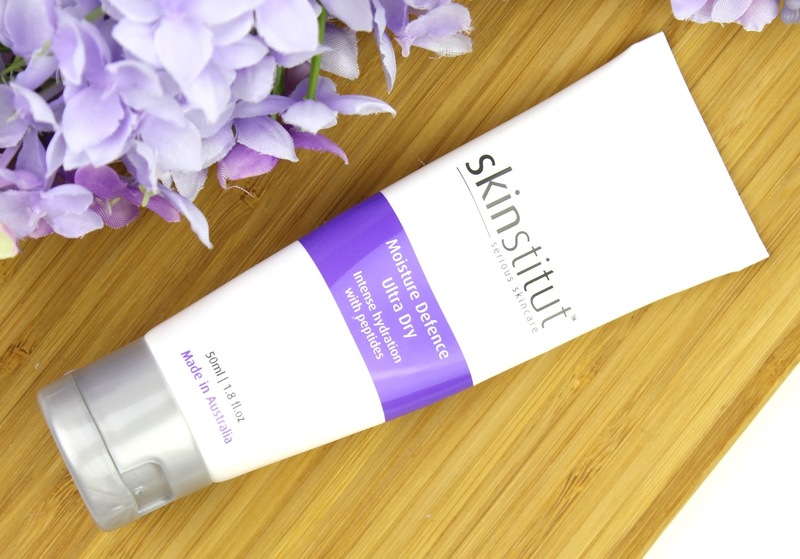 Skinstitut is an Australian brand that specialises in cosmedical grade skincare, visible results and gimmick free products which I really appreciate. Something I also really like about this range is that all the products are the same price. They all retail for $45 and the sizes are just adjusted accordingly which keeps things beautifully simple. For example, the cleansers are a massive 200mL while the eye cream is 30mL. They also do great deals were you can buy 3 products for $99 or 5 for $149 to get a discount in bulk from any stockist. AdoreBeauty is definitely the place buy these from though. They have all (but one?) 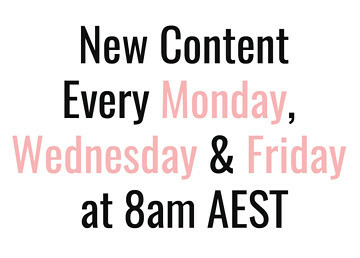 of the products for $30.15 each, offer free shipping, afterpay as well as a free Tim Tam with every order. How can you go wrong? I was really keen to try this one because I want to use chemical exfoliants but the glycolic acid cleansers I have tried in the past were too intense for my dry skin and left me peeling and dry. Lactic acid is a great AHA option is much better suited to dry skin and feels very gentle. It doesn't leave my skin feeling stripped or tight at all and has really helped to exfoliate my skin and improve tone and texture. After using the range, my skin is much glowier and healthy looking and I think this cleanser is a big part of that. It also includes other great ingredients like goji berry, seaweed, as well as vitamins B and E. The only think I don't like is the packaging because the product is thin and way too much comes out when I try to get a pea sized recommend amount but that is a small gripe. Because I only want to use an active chemical exfoliant like the L-Lactic Cleanser once a day, I use this Gentle Cleanser in the morning because it is non-irritating and calming. I can also use it after I get the Enzymatic Peel facials because it is incredibly gentle. It even leaves my skin more hydrated which isn't something you can say about many cleansers ,thanks to the green tea, goji berry, aloe vera and vitamin E. If you have very easily irritated or dehydrated skin, this is a fantasic cleanser. It really is suitable for all skin types and very good quality. This is the only one that isn't $30.15 on AdoreBeauty and I have no idea why but it is still totally worth it. It is a mist you use after cleansing to rehydrate the skin and reduce irritation. It is refreshing, calming, boosts radiance and generally just feels amazing on the skin. It has vitamin B3, ginseng, green tea and licorice root to boost radiance, energise and hydrate. I didn't think I would like this one as much as I did but it really feels great. 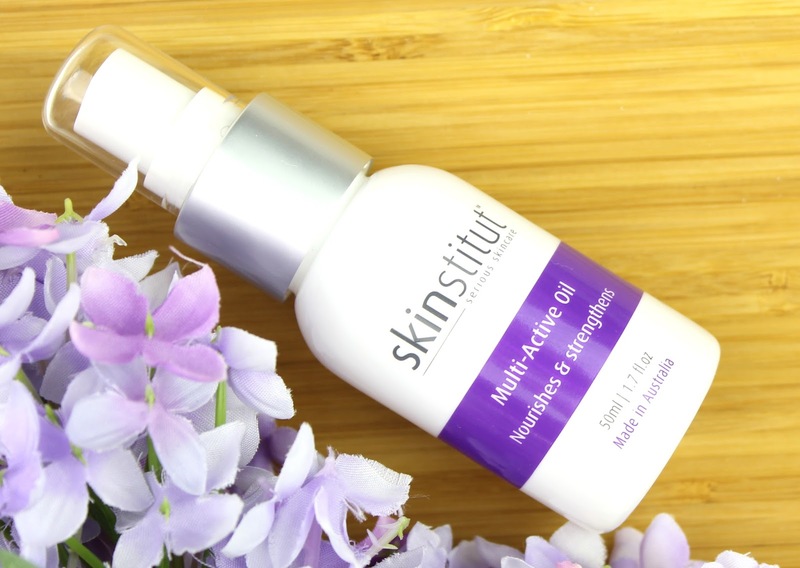 Where the Multi-Active Mist helps to combat dryness caused by hydration loss, the Multi-Active Oil replenishes the lipids and oils in the skin where deeper dryness lies. 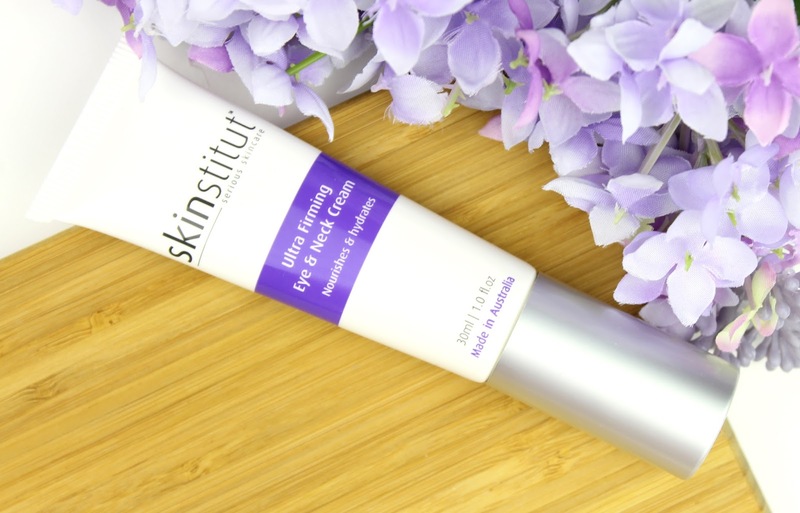 When I first got this one I thought I would only use it at night because it would be too heavy but it is really quickly absorbing and feels gorgeous on the skin. It also works really well under makeup to create a moisturised and smooth base. Packed full of co-enzyme 10, macadamia oil, rosehip oil and avocado oil, it is intensely moisturising but light and comfortable. 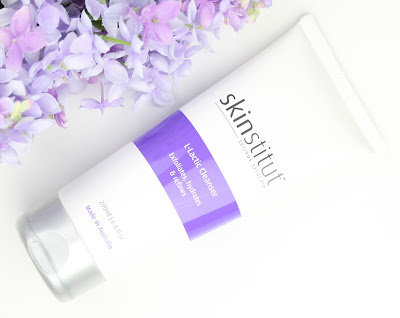 It has everything you need to really pump up the moisturisation levels and I love it! When the lovely Skinstitut representative told me about this product I was super excited to try it. Anything that promises to reduce the darkness in my eye area and rehydrate it to prevent that awful crepe-y look is a winner in my book. Happily, it didn't disappoint and it is the best eye cream I've used. I have used eye creams that cost way more than this one and it comes out on top. My eye area is definitely a little brighter and the fact that I can even notice a difference makes this eye cream incredible. This was the first Skinstitut product I ever tried and definitely where the love affair began. I got this just before my trip to Europe in the dead of winter and it kept my skin plump and moisturised in the snow and negative temperatures. Honestly, I could not be more impressed with it and it is the richest and most intensely hydrating moisturiser I've ever used. Even better though, it is quickly absorbing and really comfortable on the skin. 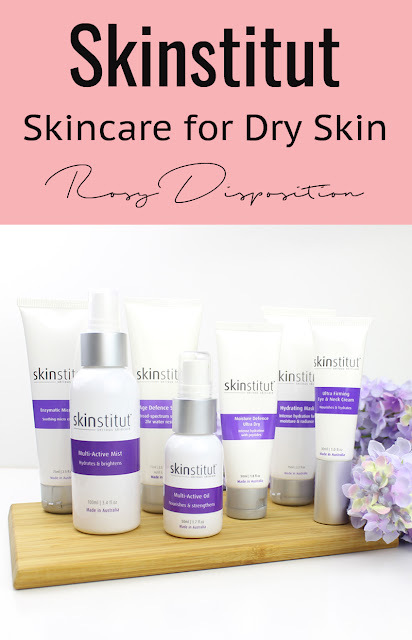 If you have really dry skin like me, you need it in your life. This is my second tube and I will not hesitate to buy another one. Aside from the moisturiser, I think this might be my favourite product. It is basically a soothing chemical micro exfoliant that is perfect for dry, dehydated and flaky skin. So basically, it is made for my skin type. After leaving it on for 15 minutes my skin is crazy smooth and hydrated like I've just had a facial. I used this when I had visible peeling and flaking about a week after my last facial and my skin was perfectly smooth afterwards. I usually use this at night and then pop a hydrating overnight mask on after and my skin is like a dream in the morning and makeup applies to that gorgeous smooth canvas like a dream! 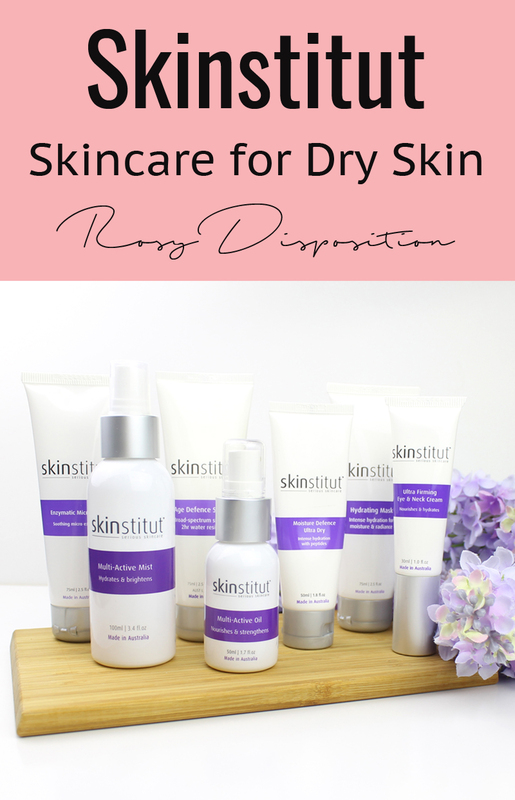 If you have trouble with chronically dry skin and flaky patches, this will be a lifesaver for you. This is a really nice mask for dry skin that, if I hadn't just discovered the Origins Drink Up Intensive Overnight Mask ($37), would be my favourite. It contains ginger, vitamin B5 and shea butter to sooth stressed and dull skin and deeply nourish. It definitely works to rehydrate and replump by skin but the Origins one just pips it. They are both incredible quality though. I would say that this Skinsitut one would be the better option if you have sensitive or allergy prone skin though, because I have heard about a few people having an allergic reaction to the Origins mask. I am so proud to say that I am offically in the habit of wearing a daily SPF so I'm always on the look out for a good one that works well under makeup. This one definitely fits the bill. It is fast absorbing, non-greasy and even smells pleasant. Of course it does leave you quite dewy which I love but people with oily skin mightn't, but I think the same could be said for any sunscreen. 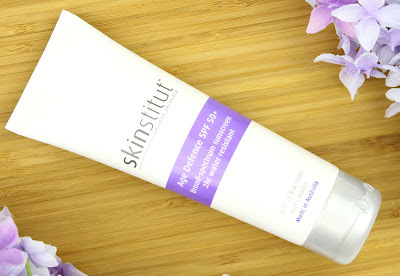 Overall, it is really great quality but because it is a tiny bit thicker so it doesn't quite beat my favourite Mecca Cosmetica To Save Face Superscreen SPF 50+ ($40). All in all, I think Skinstitut offer an amazing and well thought out range of quality products. Every skin type could find the right products for their needs, and all for a reasonable price. Sure they aren't as cheap as drugstore but they are a great middle of the road price point for those who want to invest in good, quality skincare but don't want to spend a fortune. To be honest, with products as amazing as this at around $30 bucks each, you really don't need to. As you can probably tell, I am pretty devoted to this skincare range and I won't hesitate to start replacing things as soon as they run out. If I had to pick three favourite products, I'd choose the Moisture Defence Ultra Dry, Ultra Firming Neck & Eye Cream and Enzymatic Micro Peel. I would love to know if you have tried anything for Skinstitut, or if you will after reading this review, so make sure you let me know in the comments below. Disclaimer: I paid for the Moisture Defence Ultra Dry Moisturiser, Enzymatic Micro Peel and L-Lactic Cleanser myself, but all the the others were provided to me as PR gifts. However, that doesn't affect my opinion and I am always honest about my experiences with products. 21 comments on "Skinstitut Skincare for Dry Skin"
I love the Enzymatic Peel! It is so lovely! I need to stock up on some more Skinstitut! I love the sound of the Multi-Active Mist! 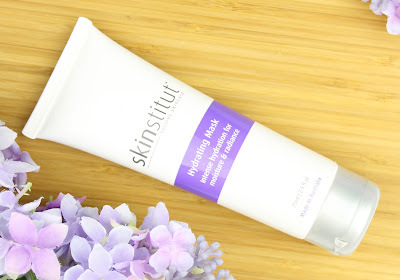 I enjoy refreshing my skin between cleansing and moisturizing, so this sounds wonderful! I need to try this brand, I heard so many good things about their range of products. It definitely isn't false hype - the whole brand is amazing! Oh I didn't know this brand was Aussie! Lately, my neck has been really dry to that cream caught my eye. I'll definitely have to look into their products. Yeah I've heard great things about the Glycolic cleanser as well but it is a bit to harsh for my skin I think. You should definitely dry out some more because the whole range is fantastic. 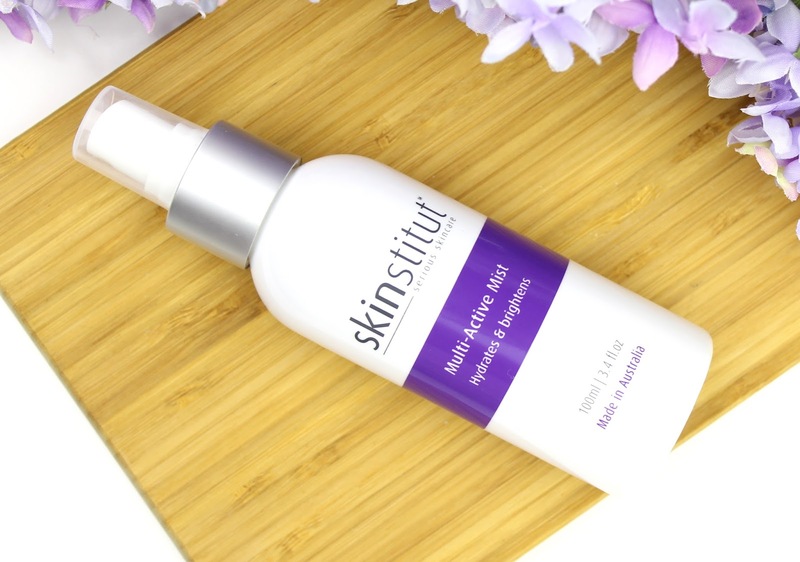 I love the Skinstitut Glycolic acid range! They are among my favourite skincare products! Ooh I love the sound of that neck cream! You should definitely try it out. It is one of my favourites from the range. Bookmarking this! I need to try this range asap, the mist sounds so perfect!